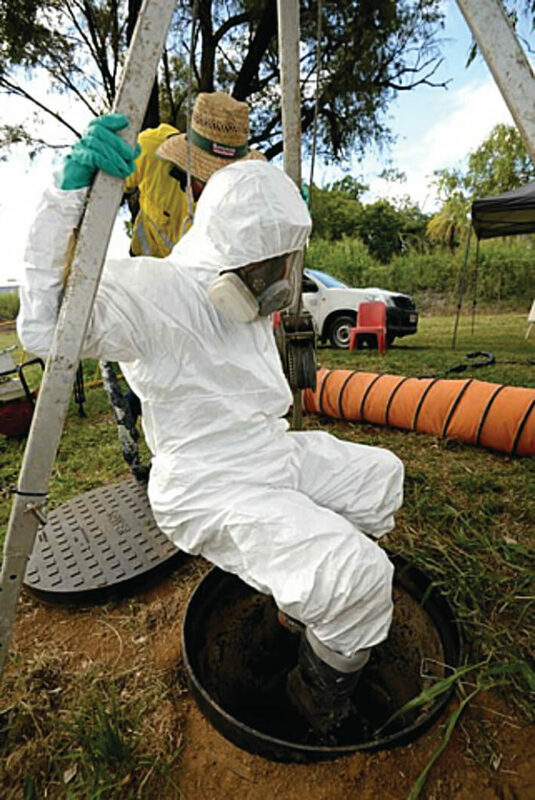 Mainmark’s innovative spray-on corrosion protection system, ENCAP6, has provided viable, lasting and cost-effective rehabilitation of more than 150 concrete manholes and access chambers as part of the North Rockhampton Flood Mitigation Project. Deteriorating concrete in access chambers has caused them to crack, partially collapse or be permeated by tree roots, allowing the infiltration of stormwater. During heavy rain events, this was overloading the waste water and sewerage systems and impeding the proper movement of waste and the access of maintenance crews to clear blockages. 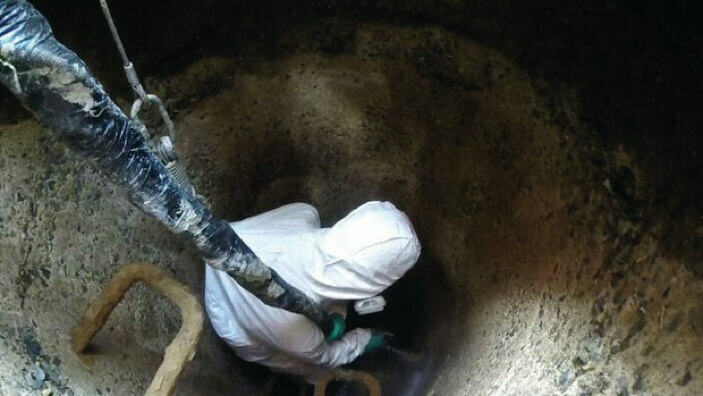 Concrete deterioration is a common challenge in the management of sewerage and waste water infrastructure, caused by ongoing exposure to harsh chemicals and gases associated with these environments. Mainmark’s patented ENCAP6, a spray-on corrosion protection system for ageing concrete and steel infrastructure, was applied and rehabilitated more than 150 access chambers and manholes of varying sizes. 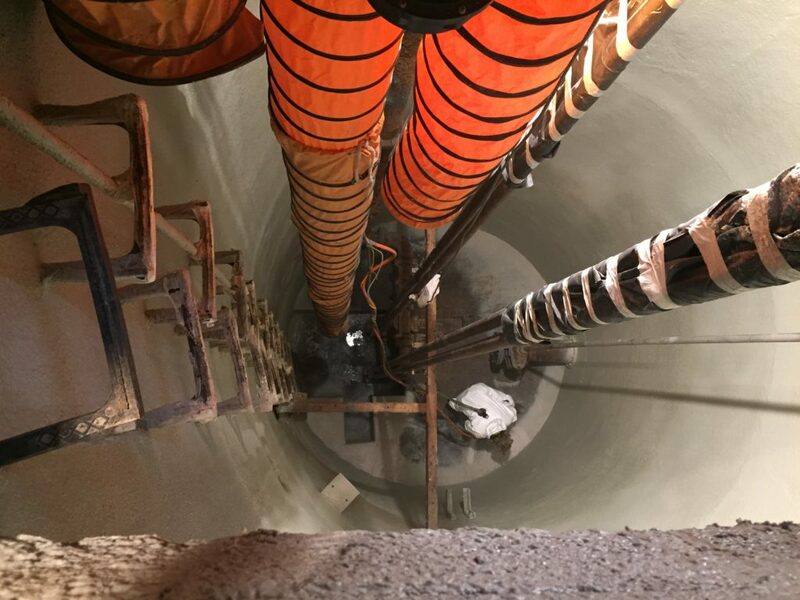 The objective of the project was to cost-effectively improve the structural integrity of the access chambers and manholes with minimal disruption to everyday operations. This allowed the Council to refurbish rather than excavate and rebuild access chambers, delivering significant cost savings. 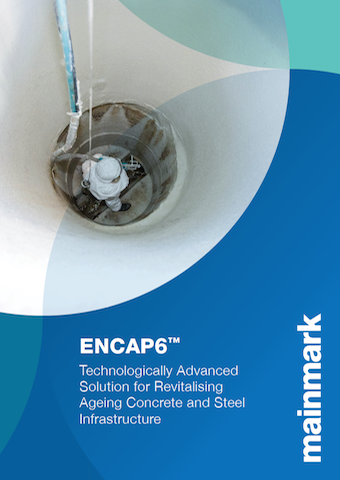 Mainmark applied ENCAP6, a technologically advanced, spray-on corrosion protection system for revitalising ageing concrete and steel infrastructure. Unlike many epoxy and polyurea lining systems, the patented ENCAP6 products chemically bond to concrete and steel substrates to deliver superior long-term protection. ENCAP6 is formulated using a high quality vinyl ester resin that has excellent chemical resistance and hydrolytic stability. The resin is infused with specially treated 12-micron glass microfibres less than 1/2mm in length for exceptional structural performance, and loaded with coupling agents and adhesion promoters. It has a flexural strength of 140Mpa (compared to an average concrete flexural strength of 25Mpa). When applied with a traditional glass laminate, it has a flexural strength of 280Mpa. Using ENCAP6 to rehabilitate ageing concrete and steel infrastructure can eliminate the need to reconstruct existing assets, helping to reduce capital replacement and labour costs. It can be applied using an innovative spray-on methodology or in layers to deliver specific, engineered outcomes. 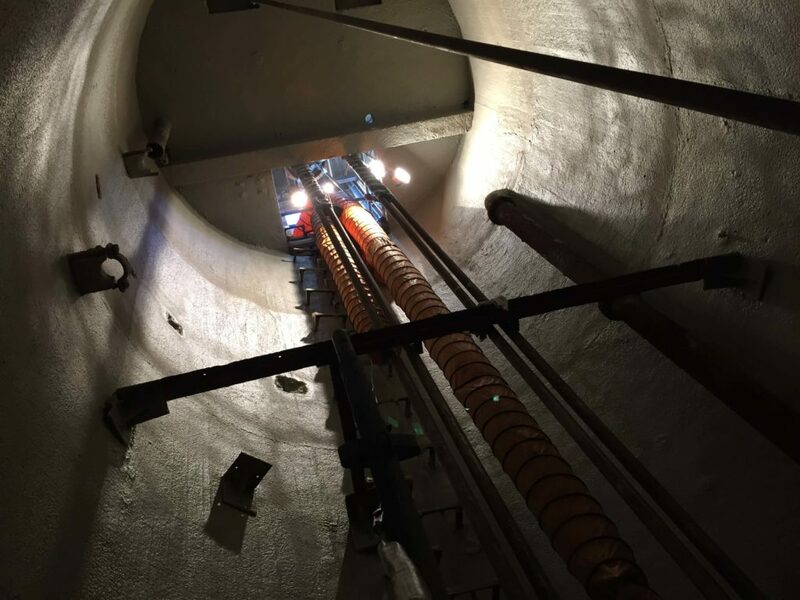 Following the successful completion of the manhole component of the project, Fitzroy River Water has used it in a number of other refurbishment projects for wet wells within sewerage pumping stations.